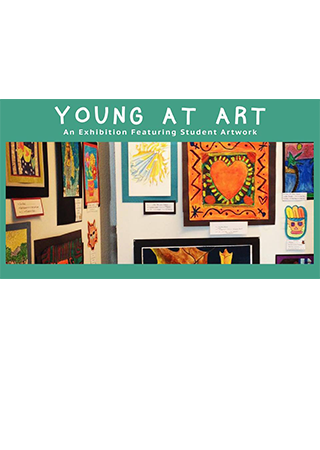 Join us for the opening reception of ‘Young At Art’, our annual exhibit featuring the work of students from local schools, on Friday, April 5, from 3:30 - 6 pm. Enjoy fancy snacks, awesome artwork, and mingling. Each year area schools send us student artwork to exhibit in our gallery. This lively exhibit is floor to ceiling color and exploration and one of our most well-received shows of the year. This fun community exhibit gives young artists a chance to have their work exhibited in a “real gallery”, and a special chance for arts enthusiasts to show their support for our budding artists. A select number of pieces are chosen to be professionally framed and matted and those pieces will hang in the YMCA for a year after the exhibit. This exhibition will be on display through April 27, and is free and open to the public. Hours are Tues - Fri, 10-5 and Sat 10-2. Find us at 711 Laurel St in the heART of downtown Brainerd. We extend our thanks to Beth from Picture Perfect Framing Studio for her framing expertise, and to the Brainerd YMCA for hosting selected artworks.